There can be few people nowadays who are not familiar with Jane Austen. Her works have been rewritten to factor in zombies, shifted into the modern era by Hollywood and even been transformed into lavish musicals. She has also inspired a whole host of Austen variations, namely sequels and new fiction inspired by or based on the world she brought so vividly to life. Scott D. Southard’s book, A Jane Austen Daydream, is an unusual hybrid and has been referred to elsewhere as an example of this Austen variation sub genre, though a very specific one at that. Taking Jane’s life and works as the inspiration for a work of fiction, Southard has crafted a finely structured novel that asks a simple question - for all the happy endings she gave her heroines, did Jane ever find a love of her own? Whether you are a fan of Jane Austen or not, there are so many surprises waiting in the pages of this delightful and unusual book that any discussion of the narrative must be necessarily brief for fear of giving anything away. The premise is a simple one though: passing her days writing and matchmaking in her small, apparently idyllic village, new horizons open for Jane when she attends a ball at Godmersham Park. Suddenly no longer content with creating fictional romances, she sets out to find true love, and the candidates for her heart and hand are numerous. A Jane Austen Daydream is certainly not a biography, although it does feature many biographical elements and a supporting cast including characters from Austen's own life. There is truth in the narrative, to be sure, but it is seamlessly interwoven with fiction to examine what life was like for a lady of wit and intelligence in Jane's time. For all Jane's apparent contentment and quiet reserve, the limitations on women are very subtly teased out and discussed in the book, which is not certainly all cosy! Written in a mannered style intended to echo the narration of its leading lady, Southard manages to capture Jane’s archness of tone and pin-sharp observations of those around her. In these pages she is a warm, witty and intelligent young lady who really lives and breathes; indeed, there is no suggestion that this is anything other than a young woman, so carefully constructed is Southard's narrative voice. Without giving too much away, there are so many in-jokes and references in the book that fans of Jane will find much to enjoy. Crucially, though, they are not so dominant as to be be off-putting for those who don’t know her books so well. With evocative language, a well-populated village with secrets of its own and a keen eye for period detail, Southard really does immerse the reader in Jane's world. If you find yourself thinking that you know where the story is headed, you might be in for one or two surprises along the way and it's here that I reach a caveat. There is one particularly vital reveal in the book and I must admit that for a few wobbly minutes, it really did stretch things for me. For a moment the art of the book was laid bare and I found myself thinking a little too much about the mechanics of the writing and all that had gone before, which did pull me out of the story. I can't discuss the plot point in question without ruining the book for readers and must say that the novel did recover very quickly and I actually found myself appreciating exactly why Southard made the narrative decision that he did. I mention it as a warning though so that, should you find yourself feeling the same reservations that I did, you can rest assured that it in no way brings the novel down. You'll know the reveal I mean as soon as you see it and I can only urge you to read on, as by the finale everything somehow slots neatly into place, which feels like a most masterful slight of hand! Southard's research is solid but not intrusive and he really succeeds in placing Jane in the story. He brings her into vibrant, appealing life, crafting a living, breathing woman of many dimensions and by populating her world with characters real and imagined, he creates a village rife with gossip, intrigue and quiet excitement. Even with the caveat mentioned above, this book was an unexpected joy even to someone like me, who has never read an Austen variation. I particularly enjoyed the fresh tone and sprinkling of wit, whilst the moments of poignancy are well played, particularly when addressing the sometimes harsh realities of the life and limitations of a woman in Jane's era. If you are looking for a biography of Jane Austen then look elsewhere but, if you are searching for a fresh, funny and wonderfully evocative historical fiction novel, A Jane Austen Daydream comes highly recommended. 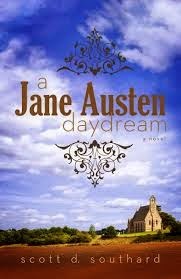 Scott D. Southard, the author of A Jane Austen Daydream, swears he is not obsessed with Jane Austen. He is, however, also the author of the award-winning novels My Problem With Doors, Megan, and 3 Days in Rome. His eclectic writing has also found its way into radio, being the creator of the radio comedy series The Dante Experience. The production was honored with the Golden Headset Award for Best MultiCast Audio and the Silver Ogle Award for Best Fantasy Audio Production. Scott received his Master's in writing from the University of Southern California. Scott can be found on the internet via his writing blog "The Musings & Artful Blunders of Scott D. Southard" where he writes on topics ranging from writing, art, books, TV, writing, parenting, life, movies and writing. 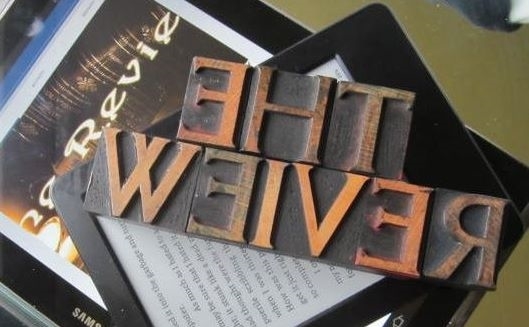 He even shares original fiction on the site (currently creating a novel in "real time" with one fresh chapter a week; it is entitled Permanent Spring Showers). His blog can be found at sdsouthard.com. Currently, Scott resides in Michigan with his very understanding wife, his two patient children, and a very opinionated dog named Bronte. This debut review was written by Catherine Curzon whose musings can be found at Madame Gilflurt. A great The Review debut for us Catherine thank you! A lovely review of a very tempting read. As a Jane Austen fan, it's a book that will find itself on my bookshelf. Thank you all! I hope you enjoy it.